Orkney has been voted the best place to live in the UK, according to a new poll. 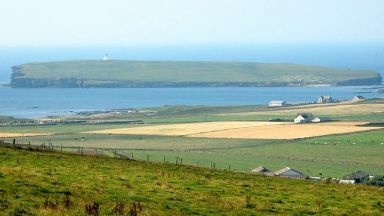 The Bank of Scotland's 2019 Quality of Life Survey winner saw Orkney claim the top prize due to its high employment levels, low crime rate, strong exam results, smaller primary class sizes and good health and happiness scores. Ricky Diggins, network director for the Bank of Scotland, said: "Orcadians will be thrilled to learn that not only is their home the best place to live in Scotland, it's now taken the crown for the whole of the UK. "With Shetland and Eilean Siar coming second and third in Scotland, it's a clean sweep of the podium places for these island communities. "Their more remote locations may not appeal to everyone but with benefits including high employment, low crime rates, smaller class sizes and more affordable housing, people around the country will now be dreaming of a life spent on the isles."